"My grandmother's recipe for roasted chicken. We are German and she used to do it this way all the time. I never have had a chicken this juicy before; this little trick works and makes the people eating it go silent. It's funny. We nibble on the celery after." 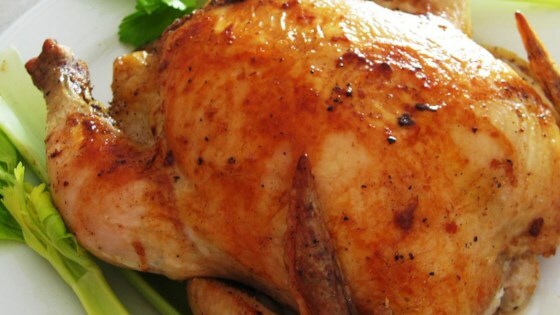 Try this easy and delicious way to make a juicy roast chicken.